Vreeland Arch is an alcove natural arch located in a remote part of Monument Valley in the southern canyons of Hunt's Mesa. It has an estimated span of 60 feet. 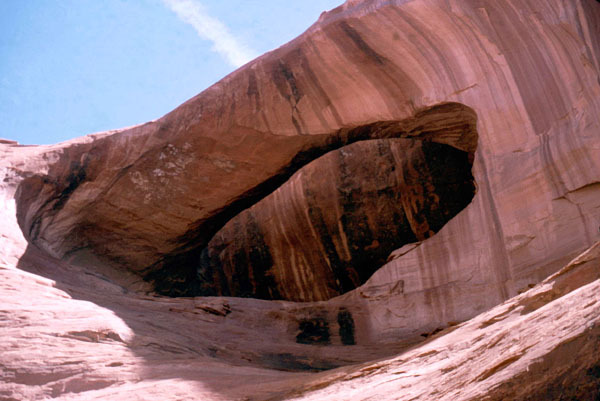 This arch is within the boundaries of Monument Valley Tribal Park and a Navajo guide is required for any visitation. Photo by Larry Fogleman.